It wasn’t so long ago that starting a retail business would cost tens of thousands, minimum. You needed to rent a store, hire staff and pay thousands in manufacturing just to get started. In 2006, Amazon revolutionized small business with Fulfillment by Amazon (FBA) and now anyone can create their own brand and sell it to the world. Starting an Amazon FBA business costs a fraction of what you’d pay to launch a traditional business and you’ve got the world’s largest ecommerce website in your corner. The opportunity is pretty amazing. Amazon FBA sellers report an average profit of 66% and monthly sales of $10,000 or more within 18 months. Even smaller sellers can make a few thousand dollars a month within the first year of business. While costs to start an Amazon store are much lower, they can still run into the thousands. Even with the reseller strategy, costs can reach $2,000 to start your business. Let’s walk through the average costs to start an Amazon FBA business before looking at three ways to raise the money. 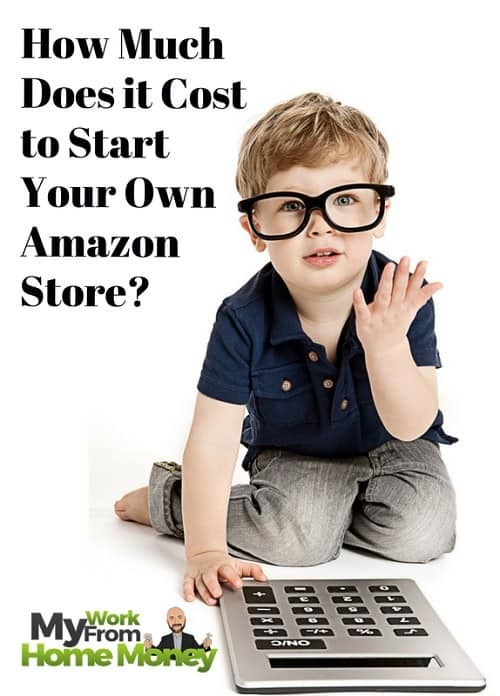 Starting an Amazon FBA business isn’t as inexpensive as starting a website or some of the other work-at-home businesses. Then again, you wouldn’t expect to be able to start your own retail brand with just a few hundred dollars. Even so, starting an ecommerce business through Amazon is still millions cheaper than the traditional route of renting commercial space and buying all the manufacturing inputs necessary to a private-label brand. This is the real opportunity in Amazon FBA, to be able to compete with the biggest brands and get started for just a few thousand. Let’s walk through the costs of getting started on Amazon FBA as a private-label first then as a reseller of other products. I like the private-label business model because you can create some real brand strength in your products and grow your business. The reseller model means you’re always on that hamster wheel of buying and selling. For a primer on both Amazon business models, check out these two prior posts. Manufacturing costs for a new Amazon FBA Business – Manufacturing is by far your biggest cost with an Amazon FBA business. This goes for startup costs as well as ongoing production. 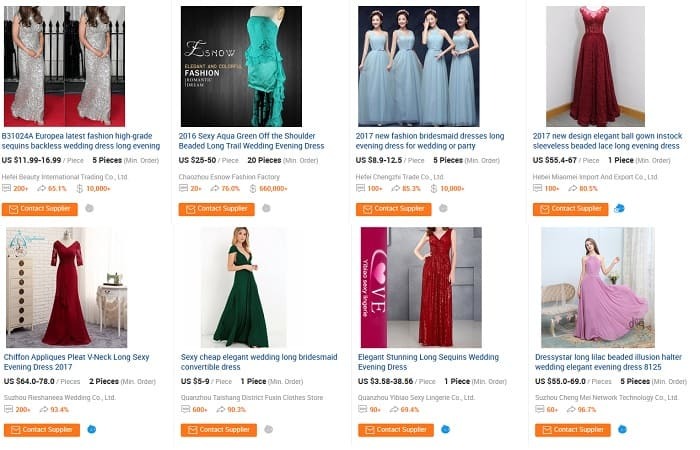 Sites like Alibaba make it easy to connect with low-cost, Chinese manufacturers that can provide consistent quality but it’s still going to cost some money. Your first step here is to find a manufacturer and order samples. There are hundreds of providers on Alibaba for every product and quality can vary quite a bit even from what is listed on the website. Research at least three manufacturers to send you a test sample of the product. 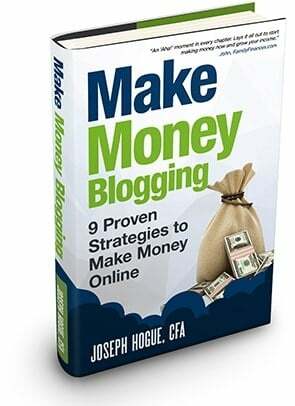 This is usually going to cost a nominal fee of $100 per sample but is well worth it to find a reliable producer. Once you’ve chosen your Amazon supplier, you’ll need to order initial inventory. You’ll get discounts for ordering in bulk and most manufacturers have a minimum order quantity (MOQ). Don’t be intimidated by a minimum order that means putting down a few thousand. This is your biggest expense and can be hugely profitable if you’ve done your planning beforehand. The average product sold on Amazon FBA costs around $20 and can usually be manufactured for less than $5 each. Ordering a batch of 500 for your initial inventory means costs of $2,500 to start your FBA business. That means producer testing and inventory will cost you around $3,000 to get started. Note that these are estimated costs for a small product costing roughly $5 to manufacture, package and ship to Amazon’s FBA warehouses. You can relax now that the biggest cost is out of the way. It gets easier on the budget from here. Photography and Video: You’ll need professional images for your product and a video demonstration can really help your marketing efforts. I’d recommend looking on Craigslist for these services but make sure you check out a few providers and their past work. You can get all the photos you need plus a couple of short 45-second videos for $500 or less. Amazon Professional Account: You can sell your FBA products through an individual account but it costs about $1 per item. Starting an Amazon Professional account costs $40 a month but you don’t pay the per item fees. Hopefully, you’re planning on selling more than 40 items a month so the professional account makes more sense. With the professional account, you also get bonus features like promotional codes and better tracking. UPC Code for your product: You need a barcode, a Global Trade Identification Number (GTIN) for each product you sell. Many Amazon FBA businesses are still using third-party UPC codes even though Amazon has change their requirements stating you need a code from GS1. It’s more expensive at $250 for registration and a $50 annual renewal for up to 10 barcodes but go the safe route and stay in compliance. The last thing you want to do is go through all this work only to get your store shut down by Amazon. Amazon Marketing: Next to manufacturing, marketing is your next biggest expense and may even be a bigger cost for some products. Amazon doesn’t disclose how many FBA stores there are but the world’s largest ecommerce platform ships more than a billion sales every year…so yeah, that’s a lot of competition no matter what your product. 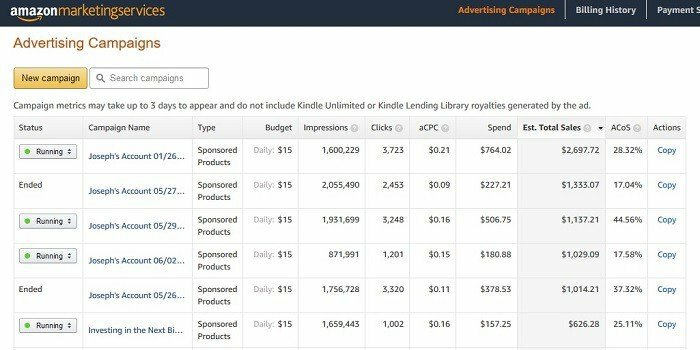 You can market your product through Facebook, Twitter or your own website but the best marketing channel for most FBA businesses is through sponsored ads directly on Amazon. That’s where your potential customers are most ready and willing to buy. Once sales and reviews start coming in, your product will rank on Amazon and your business will have a life of its own. 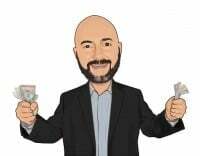 Starting those initial sales means a marketing budget and I know a lot of FBA sellers that spend money on Amazon ads continuously to keep their products ranked. Even a small budget of $10 a day can be enough to start seeing significant sales for your product. It won’t take long before you know exactly how much it costs per sale in marketing and can adjust your continuous marketing budget accordingly. 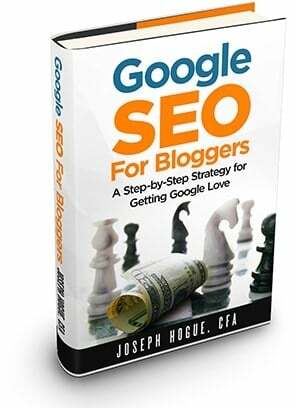 Promoting products through Amazon is a lot like the marketing strategy I use in self-publishing on the platform so check out that prior post for details on running your own campaign. An initial trial campaign can cost from $300 to $500 with ongoing costs depending on how many products you want to market. Graphic design and copy writing: Most of the budget items for starting an FBA business are something you probably can’t do yourself. Graphic design of logos and copy writing your sales material is one place you might be able to save money with a DIY strategy. I would still get a professional logo developed from a freelancer on Fiverr. You can try a few freelancers for $5 each and then pick the best idea. Even if you go the inexpensive route and write your own marketing material to launch your store, consider hiring someone to review it after sales start coming in. Trademark for your brand: This is more of an optional cost to start an Amazon FBA business but totally necessary for the future. You’re going to be putting thousands into developing your brand and how customers see your company, you need to protect that investment with a trademark or someone can just start their own company under the same name. It costs roughly $350 start the process to register a trademark. The entire process takes about three months and it’s something you can start after you see if the business is going to be profitable. There are other things you can do to jumpstart your Amazon FBA business like hiring freelancers to help with grass-roots marketing but these are the essentials. Can you get started on Amazon FBA for less? Of course. I’ve heard of people getting their ecommerce store up for as little as $500 though I think the numbers are questionable. It might work for very inexpensive products if you can produce and ship a big order for less than $300 but it’s a stretch. Look, where else can you launch a global business for less than $5,000 and have the potential to be a major brand? 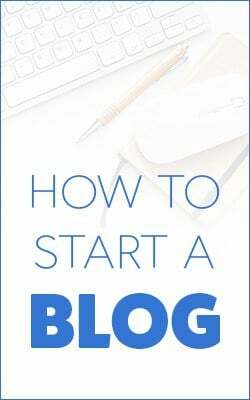 This isn’t like blogging where you can start for next to nothing but it takes a year or more to start making any real income. An Amazon FBA business can produce thousands of dollars in profit within the first month and hundreds of thousands within the first year…but you have to be willing to go at it with the necessary tools. That means spending a little in startup capital for quality manufacturing and a solid marketing plan. How Much Does Starting Amazon FBA Cost as a Reseller? Startup costs for an Amazon FBA reseller business are simpler but more uncertain than the private-label business model. With the reseller strategy, you’re simply looking for things you can buy cheaply and resell at a higher price on Amazon. There are apps you can use to instantly compare prices of something on Amazon but it’s still a very time-intensive business. Inventory Costs and Shipping: This all depends on what you’re buying to resell but can easily reach $1,000 to buy an initial inventory and ship to Amazon’s warehouses. You want to buy in large quantities if possible. It’s difficult enough finding things for sale on Amazon with enough markup over your in-person costs to make it worthwhile, you might as well buy as many as you can when you find something. Photography and Video Costs: You usually won’t need custom photography or video for the reseller business model. Check the manufacturer’s website for product images or look for other Amazon pages selling the product. Amazon Pro Account: You’ll still need to open a Pro account for $40 but this is relatively minor. Marketing Costs: Marketing costs are still a big expense in the reselling strategy. You’re usually going to be competing with other FBA resellers in the same product so you’ll need to rank your store with those consistent sales. A marketing budget of $500 will usually suffice here as well. On the upside, you probably won’t need to spend quite as much in on-going marketing because you’ll be selling products that already have some brand recognition. Customers will be more familiar with the product versus your private-label business and won’t need quite as much convincing to buy. You won’t need to register your products or get UPC codes because they will already have these from the original seller. You can probably also just reuse and rewrite a lot of the advertising copy from the original seller’s website or find pages of the product already for sale on Amazon. You can realistically start an Amazon FBA reseller business for less than $1,000 if you’re buying less expensive products. The reseller strategy is simpler than creating your own branded products but it’s more time-intensive in the long run and I think more limited on profit. There’s a huge opportunity in Amazon FBA but most people don’t have $5,000 laying around to start a new business. That shouldn’t stop you from taking advantage of the new online strategy. There are a few routes you can take to put the money together for your new Amazon FBA store. A business loan through Lending Club or other p2p provider. These usually offer lower rates and higher amounts but often require a sales history of at least two years. Lending Club offers from $5,000 to $300k but requires at least $50,000 in annual sales. A personal loan can be used for any purpose and usually only requires employment and a credit score above 520 FICO. Sites like com offer from $2,000 to $35k on three- to five-year terms. You could try finding a business partner to help come up with the money. This lowers your initial costs but multiplies your time and headaches trying to work with a partner. It also means you’ll have to split any profits from the business. For starting an Amazon FBA business, the peer-to-peer loan route is likely the fastest and easiest. Maximum loan amounts are way over what you’ll need to get started and you can pay them off early without any penalty. I’ve used PersonalLoans.com for debt consolidation and a home improvement loan in the past. It seems to have the easiest application process and one of the lower credit score requirements among p2p lenders. NetCredit is also a good choice on its shorter-term credit lines available in most states. Rates are slightly higher than Personal Loans but you can save on interest by repaying your loan with profits from your first months’ sales. Once you get started and build a sales history, you might consider a larger business loan from Lending Club or through PayPal Working Capital to expand your business into other products. Paypal will loan up to 30% of your prior year’s sales on a one-time fee. Starting an Amazon FBA business can be done in less than a month and for quite a bit less than you might think. The costs are insignificant next to startup costs for a traditional retail business and the opportunity to create your own brand is something we’ve never seen before. Check out our prior posts on getting started with Amazon FBA and start creating your financial independence.